A Mexican environmental agency is constructing barriers at sea just beyond its famed Riviera Maya beaches to decrease the massive amounts of seaweed washing up onshore. Quintana Roo state environment chief Alfredo Arellano Guillermo says he hopes to have anti-sargassum structures in place by next week. His agency said in a statement on Wednesday August 8 that the barriers don’t represent a risk for marine fauna and commercial boats. 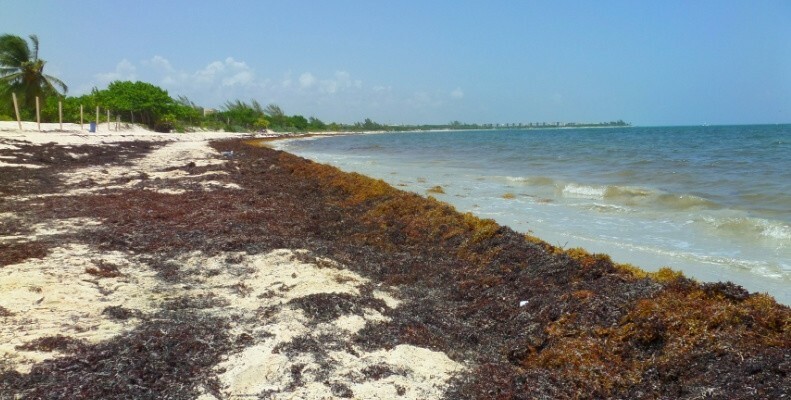 More than 4 million cubic feet of sargassum have been removed from Quintana Roo beaches, including Cancun and Playa del Carmen since June 19. Dump trucks carted the seaweed away. Similar waves of floating seaweed have coated beaches throughout the Caribbean.